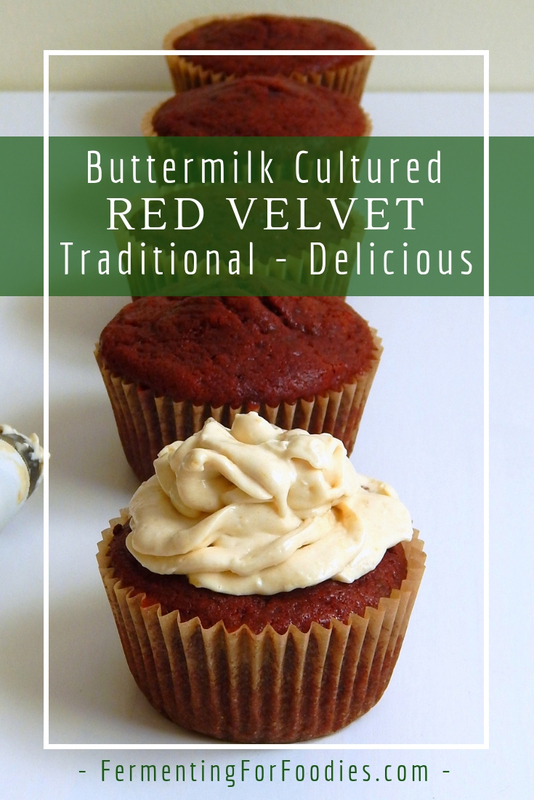 A traditional buttermilk red velvet cake is light and fluffy with a mild chocolate flavour. 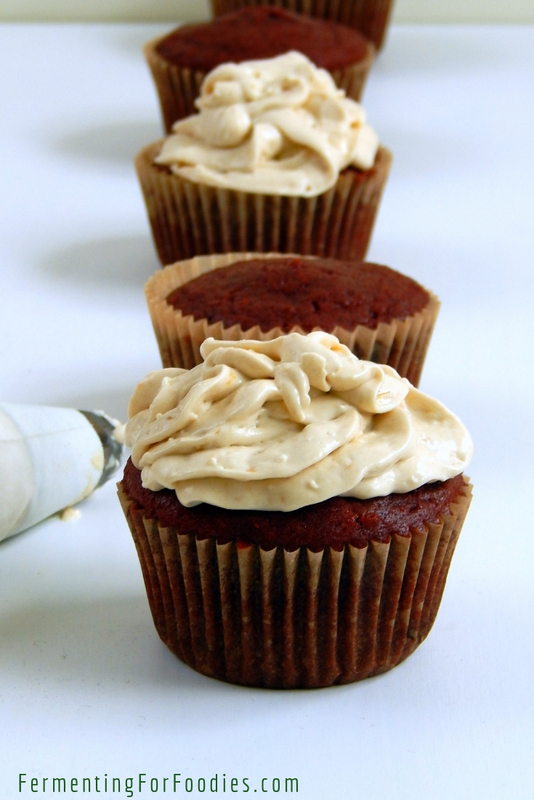 And it is absolutely delicious when finished with marmalade cream cheese frosting. Historically, the red colour came from a reaction between non-alkalized cocoa powder and the acidity of the the buttermilk. Nowadays, all cocoa powder has been alkalized, so the red colour either comes from food colouring or beets. I’ve provided both options in the recipe below. 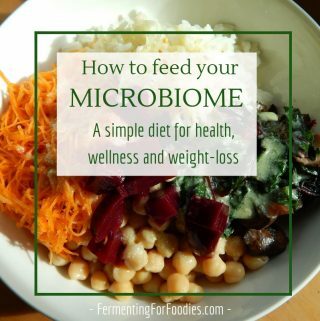 It improves the digestibility of the complex carbs in grains, so you won’t feel quite so bloated and full. The texture and taste of gluten free baking is really improved by prefermenting. If using white flour, stick with pastry flour, and expect to have to cut the remaining ingredients into the batter, because it will develop some gluten. 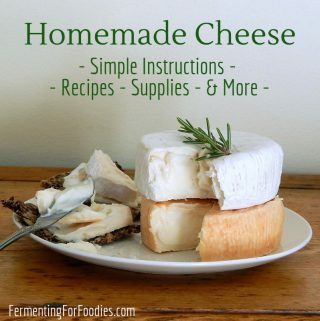 See this post on sourdough to learn how to cut in ingredients. Whole grain flours like barley, rye and wholewheat will also develop some gluten structure. Prefermenting is ideal for gluten free flours. Use your favourite blend or try my baking blend. 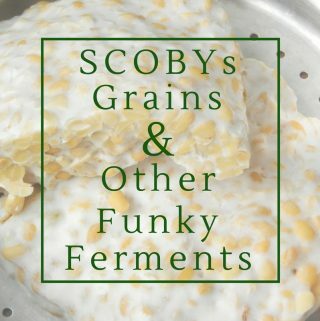 Just don’t add any xanthan gum until after fermenting. Prefermenting works best for gluten free flours. Skip this step if using regular white flour. See section above for more information. Mix the flour and buttermilk in a glass bowl, cover with a tea towel and allow to preferment in a warm location for 12-24 hours. When ready to bake, mix the liquid ingredients into the batter and mix until smooth. The mix in the dry ingredients. Bake until a cake tester comes out clean. Approximately, 18-20 min for muffins or 25-30 min for a cake. Allow to cool, then frost with a cream cheese frosting. -If you are prefermenting the cake batter, use either cultured buttermilk or milk kefir. -To avoid using red food colouring add in 1/4 cup of finely grated beets, and increase the cocoa powder to 3 tbsp to account for the extra liquid. 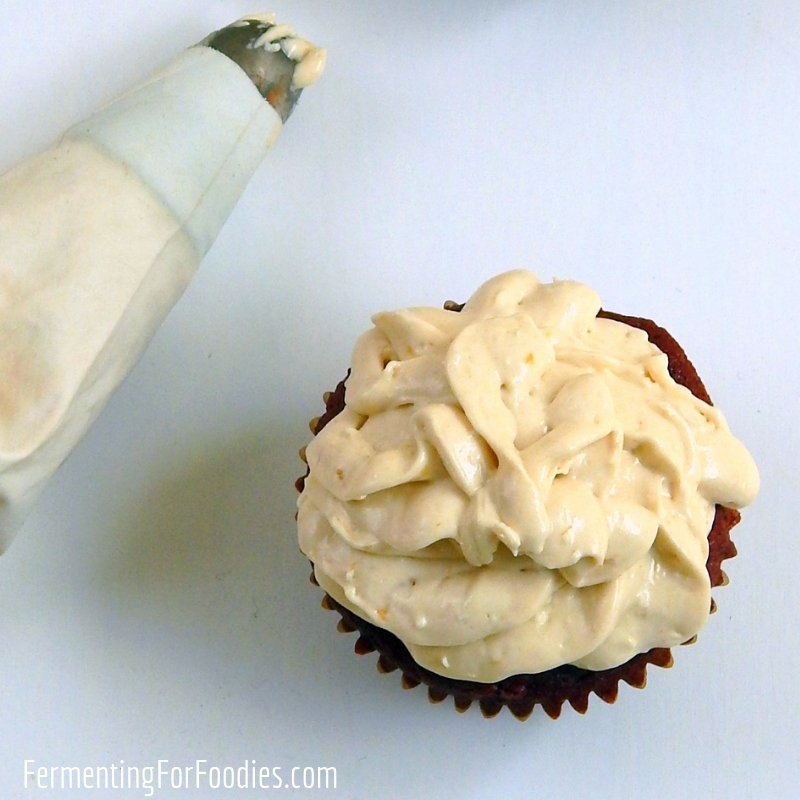 -Use homemade kefir cheese frosting for a probiotic twist! 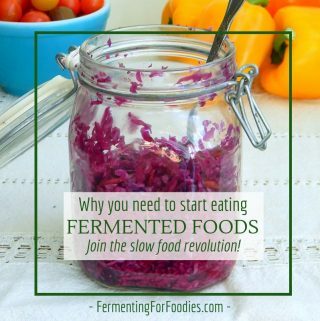 I'm Emillie, an island dwelling fermentation enthusiast.